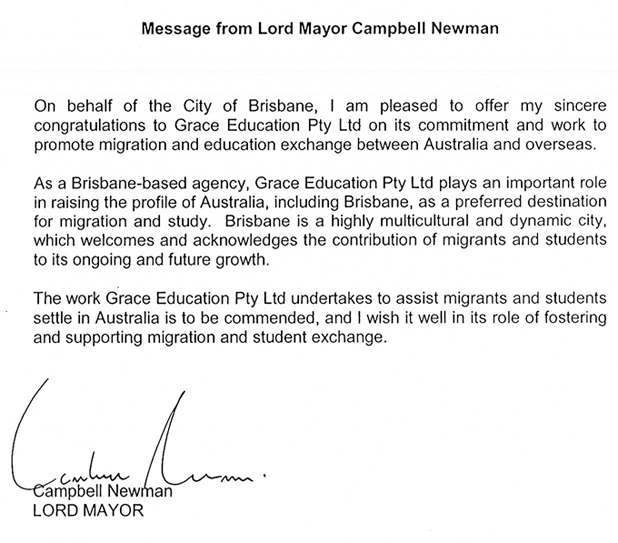 On behalf of the City of Brisbane, I am pleased to offer my sincere congratulations to Grace Education Pty Ltd on its commitment and work to promote migration and education exchange between Australia and overseas. As a Brisbane-based agency, Grace Education Pty Ltd plays an important role in raising the profile of Australia, including Brisbane, as a preferred destination for migration and study. 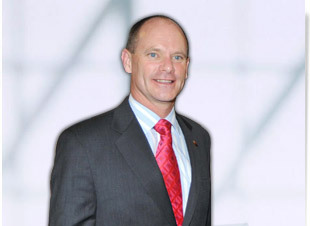 Brisbane is a highly multicultural and dynamic city, which welcomes and acknowledges the contribution of migrants and students to its ongoing and future growth. The work Grace Education Pty Ltd undertakes to assist migrants and students settle in Australia is to be commended, and I wish it well in its role of fostering and supporting migration and student exchange.